All orders placed online must be placed at least three days in advance. If ordering exactly three days in advance, the order must be placed before 5:00pm. If you require something sooner, call our shop or come in to see if we can accommodate your needs. The earlier ahead you place your order, the more likely it can be accommodated. All orders placed over the phone (Wow Cakes and other custom products excluded) must be placed at least 48 hours in advance on business days. An order for a date exactly two days away must be placed before 5:00pm. We will do our best do accommodate last minute requests, but due to the high volume of orders, we cannot guarantee every request. To avoid disappointment, please book well ahead of the date you require one of our products. It is company policy to request your credit card information (card number, expiration, CVC) upon ordering when placing an order over the phone. Any payment method (cash, debit, Visa, Mastercard) will be accepted upon pickup. Dessert Lady reserves the right to charge the full cost of your order to your credit card if your order is not picked up within 24 hours of the specified pick up time. When placing an order in person, all orders placed in person must be placed at least 48 hours in advance, on business days. We will do our best to accommodate last minute requests, but due to the high volume of orders, we cannot guarantee every request. When placing an order in person, you must pay at least 50% of the cost of your order, but you are more than welcome to pay in full. After placing your order, you will be given a copy of your receipt and order form. Please bring in this receipt upon pick up, and if someone else will be picking up your order for you, have them bring in the receipt if possible. The following information applies to all wedding cakes, wedding favours, and wedding catering. We recommend placing an order for your weddingat least two to six month in advance. To begin the process of ordering, or for general inquiries, please fill out the information form on our website. Within 48 hours, a member of our staff will follow up with you. On the date that you order the cake, a minimum deposit of 50% is required (non-refundable). Two weeks prior to the date of the wedding, the full balance of the cake must be paid. Cakes can be delivered anywhere within the GTA, with the delivery price depending on the location. All Wow cakes and other custom products must be ordered a minimum of one week in advance. To begin the process of ordering, or for all general inquiries, please fill out the “How to Order” form on our website. A member of our team will contact you within 48 hours to discuss the details of your order. If you decide to order the cake, a non-refundable deposit of at least 50% must be paid at the time of order. The cake can then be picked up in store, or delivered within our standard delivery area (Downtown Toronto, North York, Etobicoke, Scarborough, and Markham), with the cost depending on the postal code of the delivery location. For orders containing edible images, they must be ordered and the image must be uploaded per specifications (this option will be available on selected cakes when you are shopping online). You must place your order at least 72 hours prior to the delivery/pickup date, no matter the method of ordering. The image is subject to approval. Dessert Lady reserves the right to reject an image for any reason. If your image is rejected, we require you to send us a new one, or not proceed with the edible image. Corporate orders can be placed in person, online, or using a corporate account through our website. 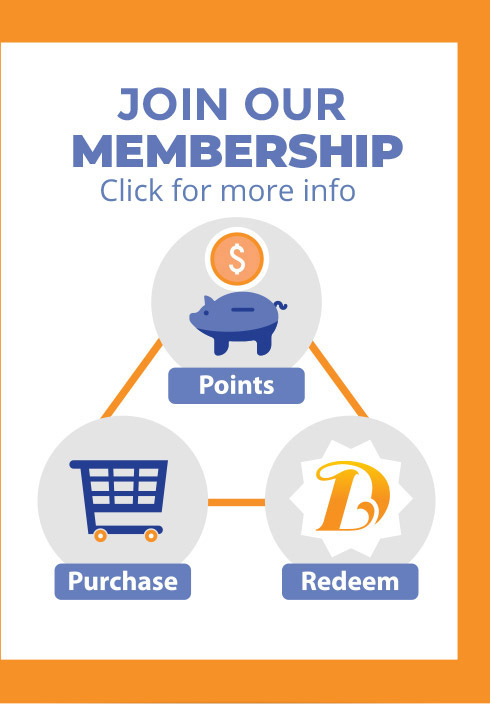 Corporate members receive a corporate rate, discounted/complimentary on delivery to a specified area for a minimum order, and many other benefits. All corporate clients are subject to approval by the Dessert Lady team. Corporate orders that will contain edible images must be placed at least 72 hours prior to the delivery/pickup time, with the image subject to approval by Dessert Lady. 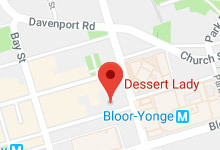 Dessert Lady does not ship our products internationally and does not ship any perishable products such as cakes, cupcakes, French macrons, chocolate truffles across Canada. However, we do deliver within our delivery zone (see map) on behalf of our international customers or national customers. It is our company policy that all International customers and Canadian Customers outside the Greater Toronto Area must place their orders online. No phone orders would be accepted. This isstrictly for fraud prevention purposes. For any inquiries, please do not hesitate to contact us via email or phone. One of our team member would be happy to assist you.